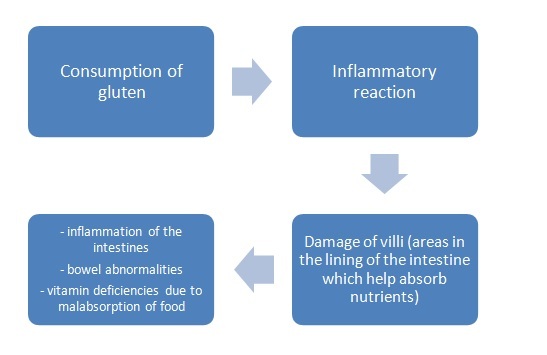 Celiac disease is a disease of the digestive system that damages the small intestine and interferes with the absorption of nutrients from food. 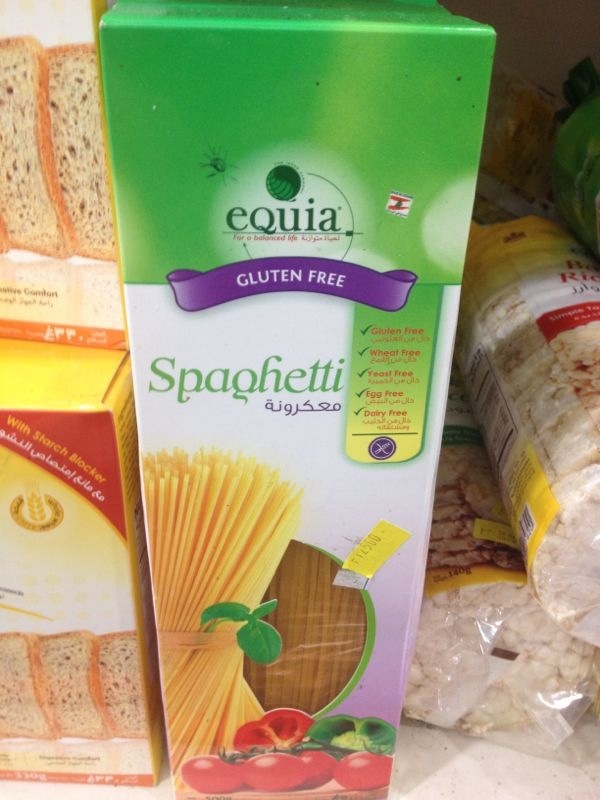 It is an allergic reaction to gluten, a protein found in wheat (قمح), oats (الشوفان), rye (حبوب الجاودار) and barley (الشعير). 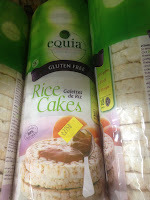 It is not clear what causes celiac disease. However, it has been proven that it runs in the family. People who suffer from this condition are genetically predisposed and they may start experiencing the symptoms at any age. In other terms, they have it in their genes but it may not appear during childhood. The symptoms might start at later stages in life. Symptoms may be different from one person to another. And they may also be common with other diseases. That’s why the diagnosis is not made right away. They may include decrease of appetite, diarrhea or constipation, abdominal pain, bloating, unexplained weight loss, skin rashes, etc. If left untreated, celiac disease may lead to malnutrition, loss of bone density, lactose intolerance, bruising easily, fatigue, hair loss, depression or anxiety, nosebleeds, cancer, etc. Many tests are available to detect celiac disease; however, the only conclusive one would be a biopsy of the intestinal lining. 2. What is the appropriate diet? There is no cure for celiac disease. 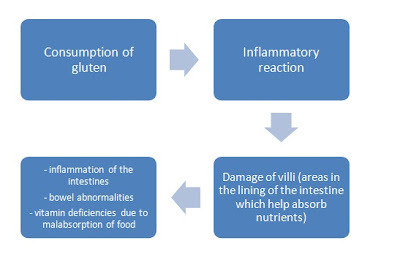 The only way to make symptoms disappear and allow the villi to heal is to adopt a GLUTEN-FREE diet. So basically, if you are suffering from celiac disease, you should omit all sources of gluten from your diet. This means that you should not consume wheat, oat, barley and rye. Once gluten is removed from the diet, you may start feeling better in just a few days. However, complete rehealing and regrowth of the villi may take several months. You should note that the healing process is faster in children than adults. 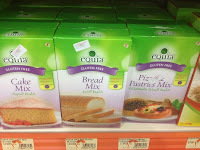 Now, if you accidently eat a product that contains gluten, you might experience abdominal pain or diarrhea. Sometimes, you might not see any signs. But any traces of gluten in your diet can be damaging, whether you experience symptoms or not. So please be careful and save the following list! - Processed meats: jambon, mortadelle, etc. 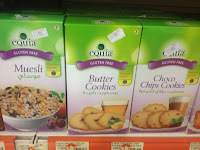 - All legumes such as hummus, beans, soy, etc. - All types of fresh milk, pasteurized, powder and sterilized, concentrated and cream. - Cheese: cheddar, edam, cottage, parmesan, gruyere, akkawi, halloum and double crème. - Arabic sweets: baklava, osmallieh, knefeh, maamoul. 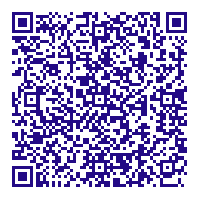 - Cakes, pancakes, doughnuts, ice cream (cornet), croissants and all types of biscuits. - Sodas may contain minimal traces of gluten and an allergic reaction to them depends on your sensitivity. 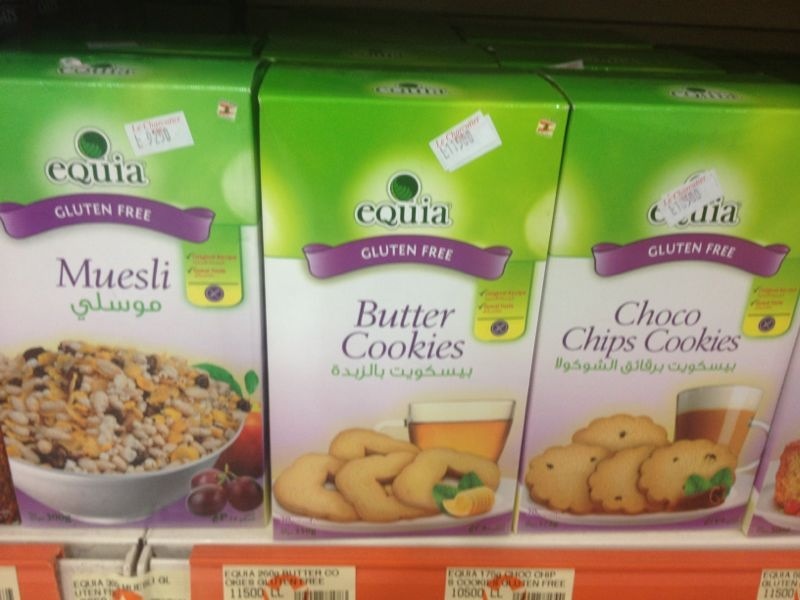 Fortunately, there are wide ranges of Gluten-Free products on the market. 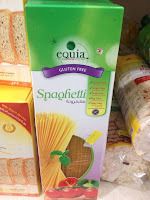 I’ve taken a few pictures of products you can find in your local supermarket. 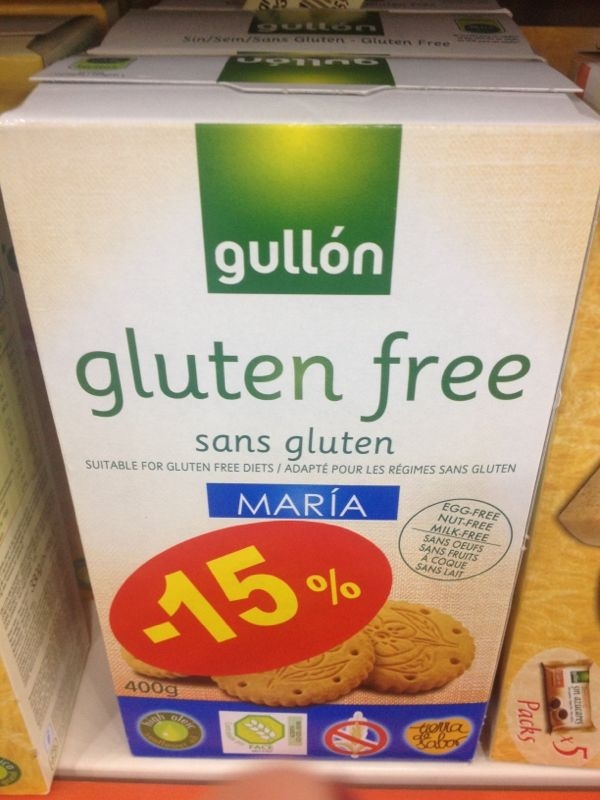 I’m sure there are more so always look for the “Gluten-free” label. 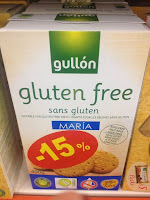 It is very important to watch out for hidden sources of gluten. 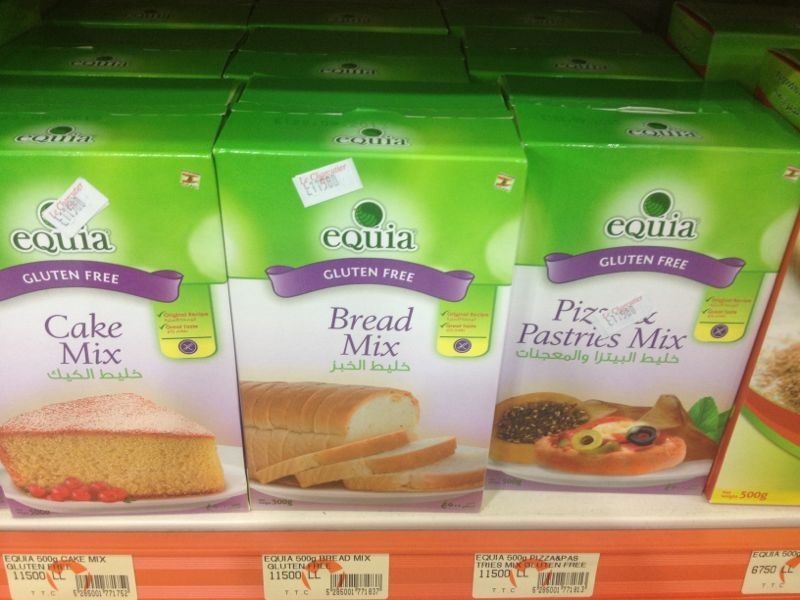 A product might not seem like it contains gluten but it might be contaminated. 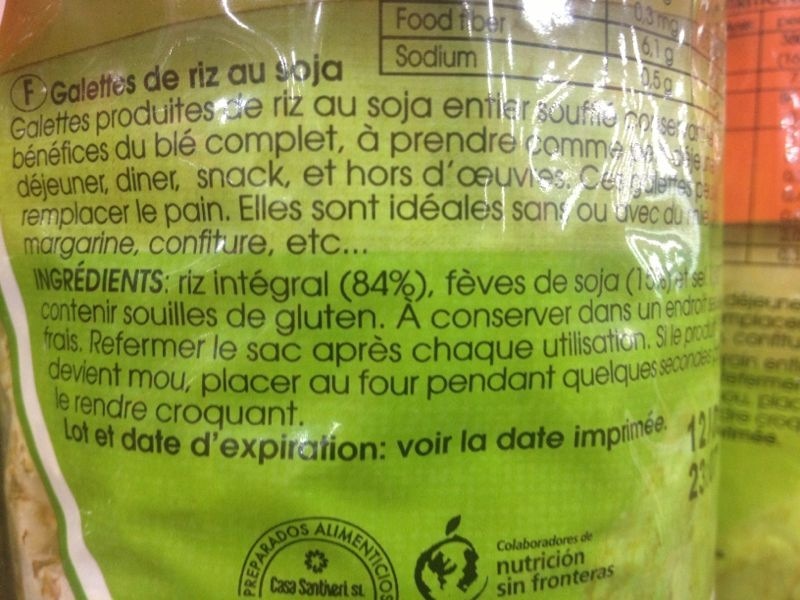 And that’s why it is crucial to read food labels (ingredients and potential allergens) in every product that you buy. In the next picture, the product is rice cakes. 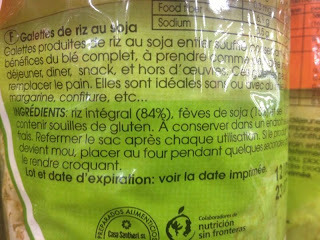 Check the label: it clearly states that the product might be "contaminated with gluten". These kinds of tests are usually r ainless, yet they could be deafening and also upsetting due to must keep nonetheless. patek philippe replica Right after finalization, the particular check may well provide an response concerning actual signs a client will be encountering. cartier replica Over time, the particular features regarding timepieces provides altered. These kinds of components have been when used in order to investigate moment. Yet nowadays, their particular opportunity provides widened. cartier replica Not merely are usually they will employed since pieces, yet may also be employed since fashion accessories to generate a type assertion. hublot replica Nowadays, to become type symbol, it isn't adequate in the event you merely use stylish garments; accessorising is very important also. replica breitling Use Esprit timepieces to be able to endure out from the masses and also develop a league of your family. Food to survive the marathon!